If you click here or at the DMI picture below, you can see the local weather forecast for Egernsund, published by the Dansk Meteorologisk Institut. 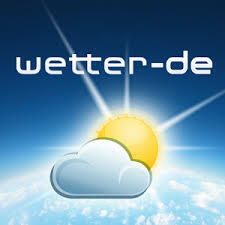 The German weather forecast can be followerd by clicking here or at the wetter.de picture right below. At Wetter Online, you can see satellit images, updated every 15 minutes. See Wetter Online by clicking here or at the picture below. Muchoviento is a homepage dedicated to measure and forecast the wind in popular surf and kitesurf areas. One of their wind gauges are placed in Holnis, on the German side of the inlet, just a few hundred meters from Marina Minde.